A solicitor at an expanding Shropshire legal firm has been promoted. Zoe Detheridge, who specialises in commercial property, has been made an associate with Wace Morgan Solicitors, which has offices in Shrewsbury and Newtown. A former pupil of Wrekin College, Zoe went on to gain a degree in history and politics at Manchester University. 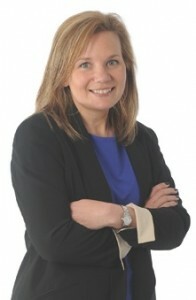 She then attended the College of Law in Chester and later qualified as a solicitor at a large Birmingham practice, working on a wide range of commercial developments in the city. Zoe commented: “I am very pleased to have been made an associate at Wace Morgan Solicitors. Diana Packwood, managing partner of Wace Morgan, which is one of the longest-established legal practices in the county, congratulated Zoe.